Indian Motorcycle marque, Royal Enfield has launched three Redditch Edition colours for the Classic 350. These new colours are Redditch Red, Redditch Blue and Redditch Green. But what is the concept of Redditch Edition paint scheme you ask? Well, they are a unique combination of Black and nostalgic paint schemes that were offered with the Royal Enfields’ in the 1950s. Then, these Royal Enfields were manufactured in Redditch, UK. The Royal Enfield Classic was introduced in 2008, and its design was inspired by the J2 model that was offered after the Second World War. 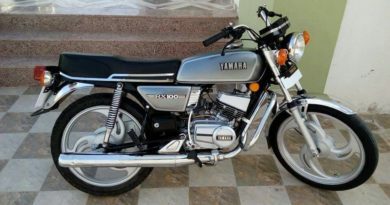 The bike is still powered by a 346cc carburetted Unit-Construction-Engine that develops 20PS of power and 28Nm of torque. 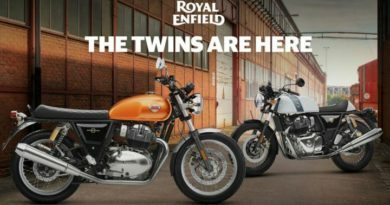 Speaking on the launch, Rudratej ‘Rudy’ Singh, President, Royal Enfield, said, “Royal Enfield launched the Classic in 2008 based on its popular ‘J2’ model, as our brand has always taken inspiration from its rich heritage to come up with evocative motorcycles in the modern era. The Classic then became one of the most loved motorcycles from Royal Enfield. Looking back into our decades-old legacy, we have given Classic a makeover taking cues from the motorcycles produced at Redditch, Royal Enfield’s birthplace UK. In 2017, we are bringing the Classic 350 in – Redditch Red, Redditch Green and Redditch Blue that re-imagine shades on our 1950’s motorcycles that first came out of Royal Enfield plant in Redditch, a town steeped in British motorcycle build tradition. The introduction of the Redditch series on Classic 350 is a reinforcement of the Classic franchise and its huge success across all our markets. The Royal Enfield Redditch series will be available at Rs 1,46,093 (on-road Delhi). The outbreak of 2nd World War put an end to the production plans of the Royal Baby – the 125cc motorcycles for the larger public. However, the Royal Baby joined the fleet of British armed forces, in particular, the paratroops. This motorcycle earned a moniker ‘Flying Flea’ because they used to be dropped into the war zone using a parachute. And that’s what the popular Royal Enfield wing design logo that we see now proudly represents. The pricing for the Redditch Edition Classic 350 has been kept at 1.46 lakh (ex-showroom, Delhi). ← Yamaha FZ25: India Unveil on 24th January?